Scaffolding systems designed and made in Italy with highly performing materials. They are versatile, quick to assemble and dismantle and assure the utmost adaptability in covering even the most complex and irregular structures. They are applied to a variety of settings such as restoration of monuments, restructuring of industrial buildings, and shipbuilding. Site operators are able to move effortlessly and in total safety. 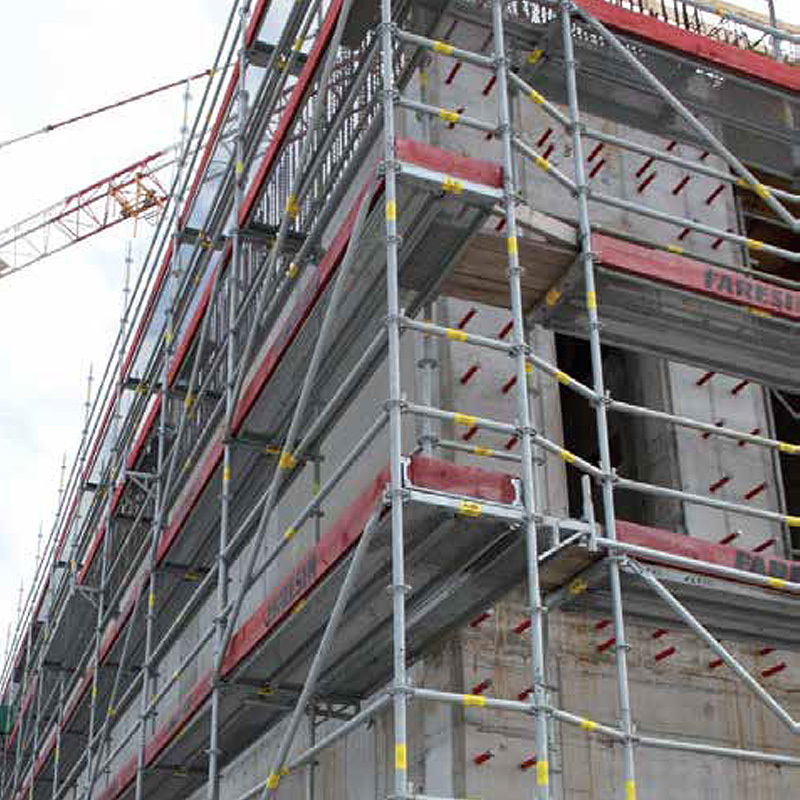 With Faresin Formwork’s Modul multidirectional scaffolding and the Modul Flex scaffolding system, it is possible to achieve solutions that also cover the most complex and irregularly-shaped structures, and carry out maintenance work with versatile, safe and very high performance products. 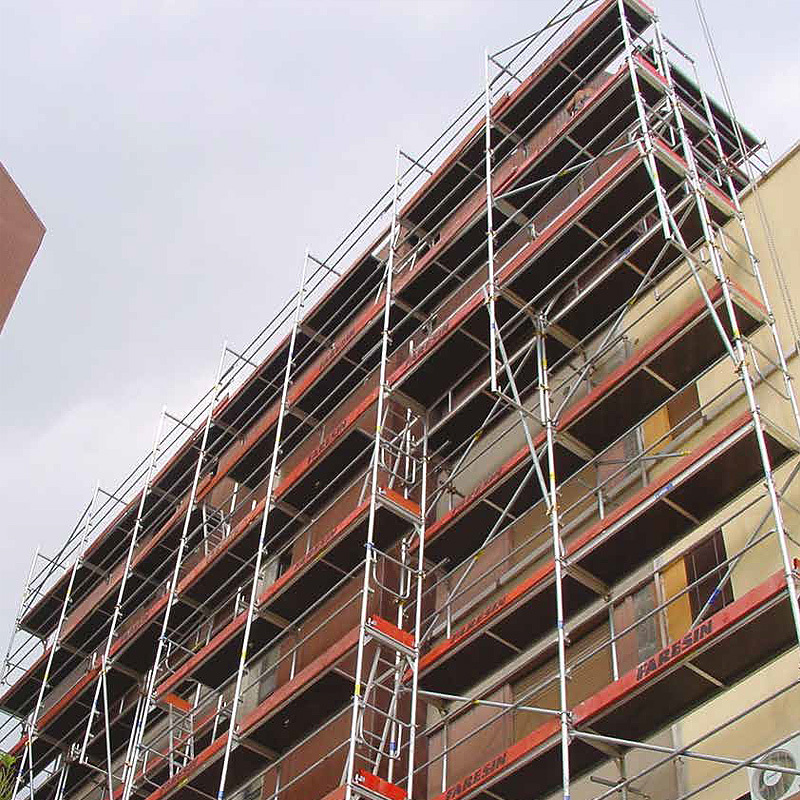 In addition to being used as multi-level scaffolding, the Modul multidirectional scaffolding can also be used as holding tower scaffolding, staging, podium, tribune and facade scaffolding. In this last instance, the special feature is the possibility of installing the joists every 0.5 metres; the use of vertical uprights, stringers, with a width between 0.73 metres and 1.09 metres, and trampling planes, breastwork and feet stops made with top materials, plus trapdoors and ladders to connect the different working levels making it possible to move quickly along the scaffolding in complete safety. The Modul Flex system, on the other hand, uses all of the potential offered by the combination of the four basic elements of scaffolding – frame, board, breastwork, foot stop – to compose any configuration, with the possibility of integrating and customising every solution with a series of accessories. Lightweight, practical and adaptable: these are the pros that make it the ideal choice for maintenance, restoration, guttering and facade work, as well as complex restoration work, in addition to narrow (width reduced to 76 centimetres), lightweight scaffolding (aluminium offers one third the weight of traditional iron scaffolding) and in quick work sites, where the speed of assembly and dismantling are essential to saving on operating costs.